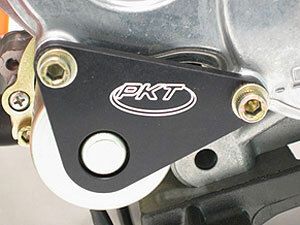 This is PKT's new Rotax Iso Starter Support. This support isolates the starter can from the support bracket. No metal to metal here. The kit comes complete and fits both old and new style side covers. 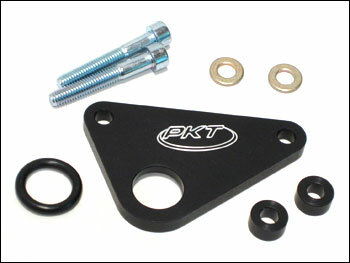 The brackets & spacers are cnc machined, black anodized & engraved. The metric hardware is zinc plated.